Welcome to Milton Hyundai, your Signature Certified Hyundai dealership in Milton, Ontario. We are presenting the new 2017 Hyundai Elantra Sport. You can find all the relevant information below. Enjoy! The all-new 2017 Elantra Sport is a cutting-edge vehicle that has been designed to deliver a class-above experience to the compact car segment. Our engineers set out to achieve a new standard for rigidity with a chassis heavily composed of our Advanced High Strength Steel — forming a SUPERSTRUCTURE™. This innovative structure has led to a new level of ride comfort with smooth, precise handling, improved interior quietness and enhanced safety. 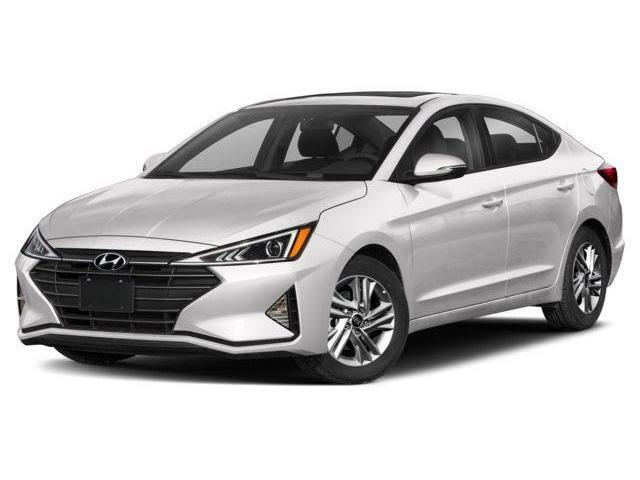 Plus, the 1.6L Turbo GDI four-cylinder engine, multi-link rear suspension and an available D-cut heated steering wheel are just further examples of how the all-new Elantra Sport provides a driving experience that will exceed your every expectation. This is the H-Factor. Constructed using a greater amount of Advanced High Strength Steel forged in our own steel mill,* the rigid composition of the SUPERSTRUCTURE™ enables more precise tuning of key suspension components. After all, creating a work of art requires a steady canvas. Experience improved cornering stability, precise handling performance and enhanced confidence at higher speeds. Over half of the SUPERSTRUCTURE™ is comprised of Advanced High Strength Steel for exceptional stiffness and strength. The body of the 2017 Elantra Sport also features extended application of structural adhesives to reinforce critical areas. In the event of a collision, the SUPERSTRUCTURE™ helps protect occupants inside the vehicle by absorbing harmful energy and redirecting it away from the passenger compartment. 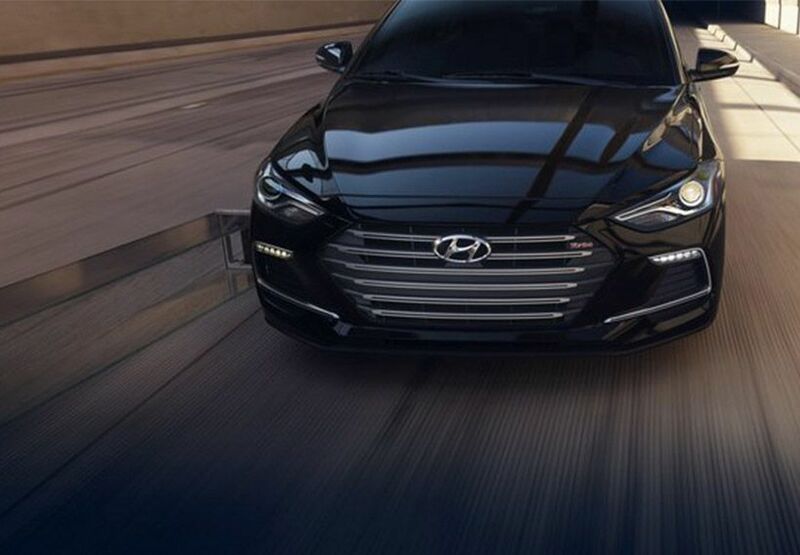 Thanks to its uncompromising power and impressive performance, there’s nothing quite like the exhilaration you will experience the moment you press down the accelerator pedal of the 2017 Elantra Sport. The standard 1.6-litre, Turbocharged-GDI four-cylinder engine delivers an impressive 201 horsepower along with 195-lb-ft of torque. Drivers may choose between a six-speed manual transmission or seven-speed Dual Clutch Transmission with paddle shifters. Helping to ensure the most powerful Elantra ever is also the most fun to drive, the Elantra Sport is exclusively outfitted with an independent multi-link rear suspension designed to elevate on-road dynamics and feel. A sportier suspension along with larger front brakes has been tuned for even more responsive and precise handling capabilities. Prepare to enter the spotlight the moment you take a seat in the sportiest and most athletic looking Elantra yet. One of the most noteworthy changes on the side profile of the Elantra Sport is the standard muscular looking 18” alloy wheels. The standard HID headlights offer crisp, white illumination of the road ahead, reducing driver strain on longer trips and improving visibility. Spectators will be captivated by the most striking detail of its exterior — the redesigned front fascia, featuring a more aggressive front bumper and lip. Not only is the chrome grille now a distinctive black, it also now has a “Turbo” emblem on it. Moving over to the sides, you will notice the skirts have been enlarged to give the side profile an edgier demeanor. 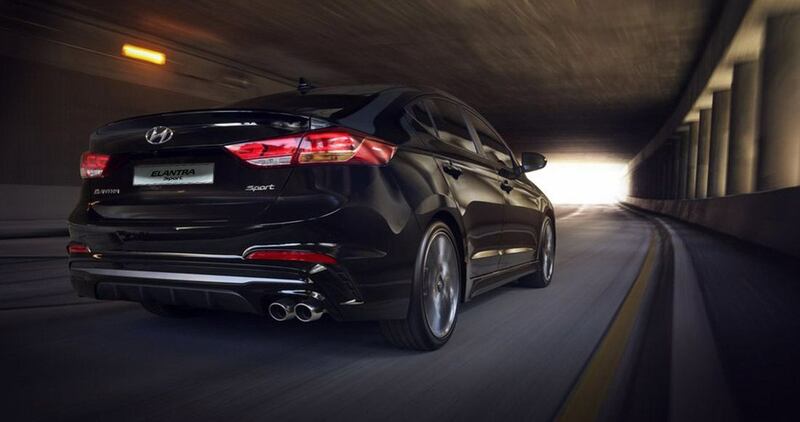 Around back, you’ll notice the aggressive rear bumper now has a new diffuser with twin-tip exhaust to further embrace the Elantra Sport’s performance-based nature. Although the taillights have the same shape as the all-new 2017 Elantra, they now feature a cluster of three LED strips on the inside, which have reverse lamps hidden at the bottom of the lens. Enjoy the sun, the moon and the stars through the standard sunroof. It looks great from a distance, and even better behind the wheel. With standard heated leather sport bucket front seats, you’ll stay warm and comfy on even the coldest Canadian winter day. 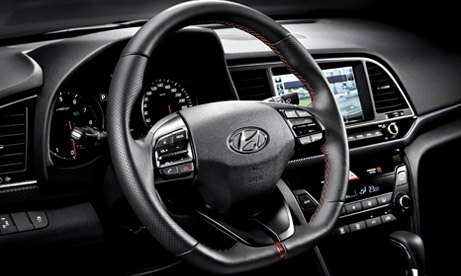 The new flat-bottom D-Cut steering wheel contains red stitching and available paddle shifters. As a bonus, the heating on the steering wheel comes standard, making winter driving that much more comfortable. For a more premium and sporty feel, the sport bucket seats have red stitching throughout the leather, as well as a “sport” emblem on the backrest. The newly styled cluster has been enhanced to deliver a sportier look. Performance inspired interior accents surrounding the trims add a level of sophistication to the sporty design. 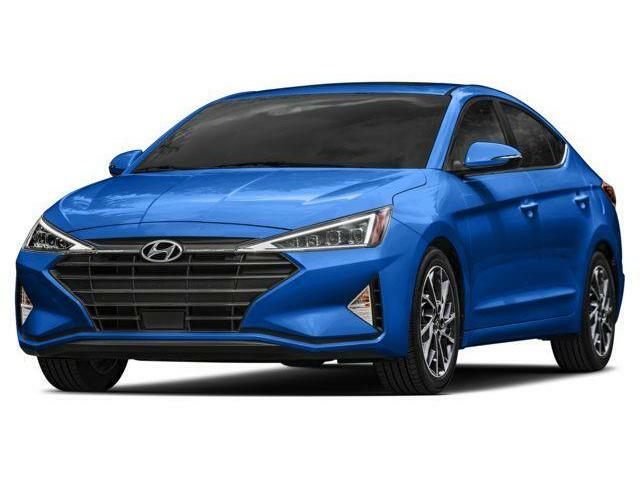 The 2017 Elantra Sport has plenty of available technology features that will seamlessly connect you to your vehicle, giving you more freedom and comfort while driving. This standard feature makes loading and unloading your 2017 Elantra Sport more convenient. The hands-free smart trunk unlocks and partially opens automatically when it senses that the proximity key is within three feet for more than three seconds. Enjoy high-resolution maps along with easy-to-follow directions thanks to an available 8” touch-screen navigation system. Forget about ever fumbling with the key. Approach your Elantra Sport with the Proximity Key in your pocket to lock or unlock your car, and start the engine with just the push of a button. Stay connected with the entertainment you love and the information you need. Elantra Sport’s available Android Auto™and Apple Car Play™ lets you interact with your smartphone’s maps, texts, music and more using voice commands, all while your eyes remain on the road, where they belong. You can finally look forward to reversing thanks to the 2017 Elantra Sport’s Reverse camera. The dynamic guidelines move on the screen as you turn the steering wheel, showing the angle of the vehicle to help guide you. The available Infinity® 315-watt premium audio system with 8 speakers and an external amplifier adds more power and presence to your favourite music. 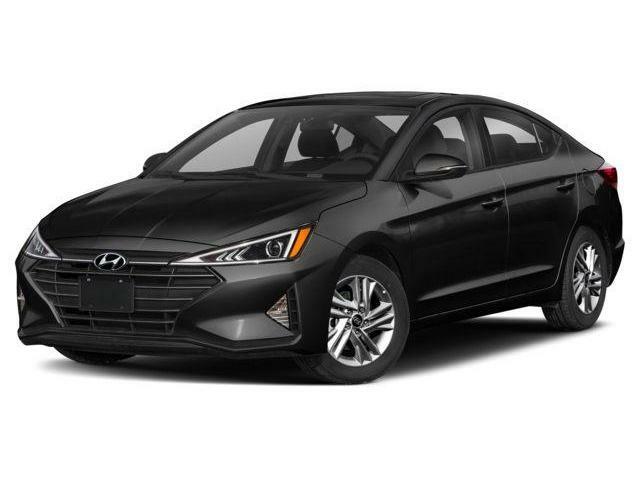 Like every Hyundai, the 2017 Elantra Sport comes equipped with a suite of standard safety, driving, and convenience features designed to inspire confidence behind the wheel, and help make every ride better, safer, and more enjoyable. The Elantra Sport is outfitted with seven standard airbags including driver’s knee, front, side-impact and side-curtain (front and back) to give you added protection in case the unavoidable occurs. The Electronic Stability control (ESC) system is designed to stabilize the vehicle during cornering maneuvers. ESC checks where you are steering and where the vehicle is actually going. It also applies the brakes to individual wheels and intervenes in the engine management system to stabilize the vehicle. Capable of sensing an automobile approaching a driver’s blind spot, the standard Blind Spot Detection provides both an audible and visual alert to help reduce the potential for a collision. This feature works in conjunction with the Lane Change Assist, which measures the closing speed of traffic approaching in adjacent lanes to help determine if a lane change is safe. When reverse gear is selected, Rear-Cross Traffic Alert helps identify and warn the driver of vehicles approaching from the side, even before they come into view of the standard rearview camera.